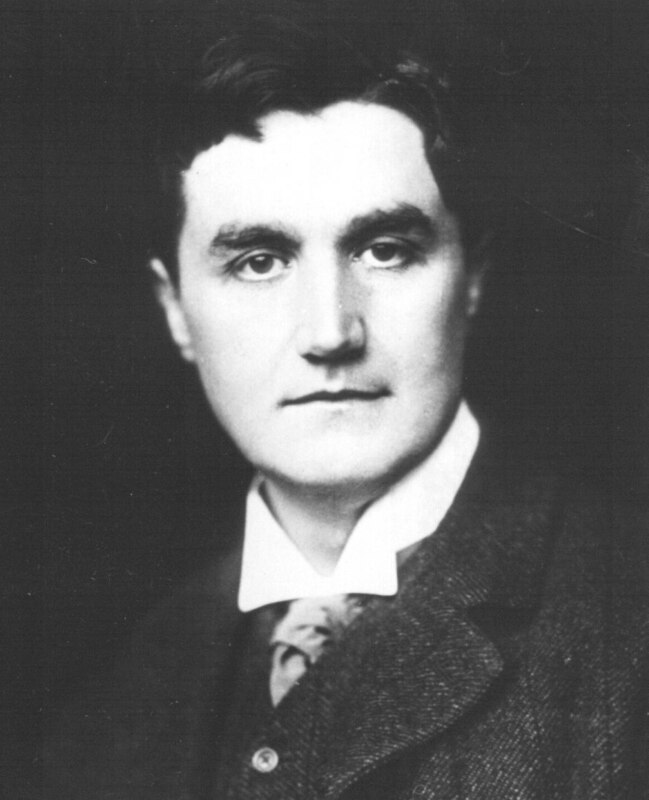 Ralph Vaughan Williams was a major force in English music during the first half of the 20th century. He drew his inspiration from English folk song and from Tudor polyphony, and using modal harmony he created a unique style which is regarded as quintessentially English. He was born on October 12, 1872 in Down Ampney. His musical talent appeared early and in his childhood he became an accomplished performer on the the violin, piano and organ. He went on to study at the Royal College of Music, where he was a contemporary of Gustav Holst, and then to Trinity College, Cambridge. He was a pupil of Parry, Charles Wood and Stanford, but he was not regarded as a particularly gifted student, and it was not until 1910 that he had his first major musical success with the the premiere of his Fantasia on a theme of Thomas Tallis. Vaughan Williams was strongly opposed to the growing trend towards elite, intellectual music which characterised the German post Wagnerian composers such as Schoenberg. He believed that music should be understood by all, regardless of class or education. He expended considerable effort in collecting simple folk melodies that had survived only through an aural tradition, and which otherwise would probably have been lost as commercial recorded music began to replace live folk performance. Much of this melodic material was worked into carol and hymn arrangements, and some was developed into larger scale works, such as the variants on Dives and Lazarus, and the Prelude on an old Carol. The prelude is a characteristic example of Vaughan Williams technique for developing folk material into a major art work. The beautiful tune is heard at the start of the work, harmonised in the aeolian mode giving it a gentle lyrical folk character. The work continues using fragments from it in varied orchestral textures using subtle, often dramatic, harmonic changes to maintain momentum. At its zenith the carol tune can be heard in a stark fragmentary form high in the strings, punctuated by dramatic interruptions from the rest of the orchestra, after which the mood of tranquillity returns using just a cadential phrase from the original tune. Vaughan Williams Prelude on an old Carol was performed by the Portobello orchestra on the 12th December 2009, conducted by Anthony Weeden.